Summer in the UK can be tricky to shop for. Forget the standard seasonal wear, you are going to need a jacket (unless you're planning an escapede to the southern countries of course). I usually carry around lots of layers or my regular suits-all-seasons piece (aka. winter jacket). This year I wanted to do it right and get a proper lightweight cover up. I knew I wasn't feeling denim anymore and my only other option really was a bomber which to be honest I was even less of a fan of- too slouchy for my preference. I like it on others, not necessarily myself. Imagine my face when I came across this little jacket in Topshop, I mean can it be more perfect? It's everything I've been both loving and looking for. 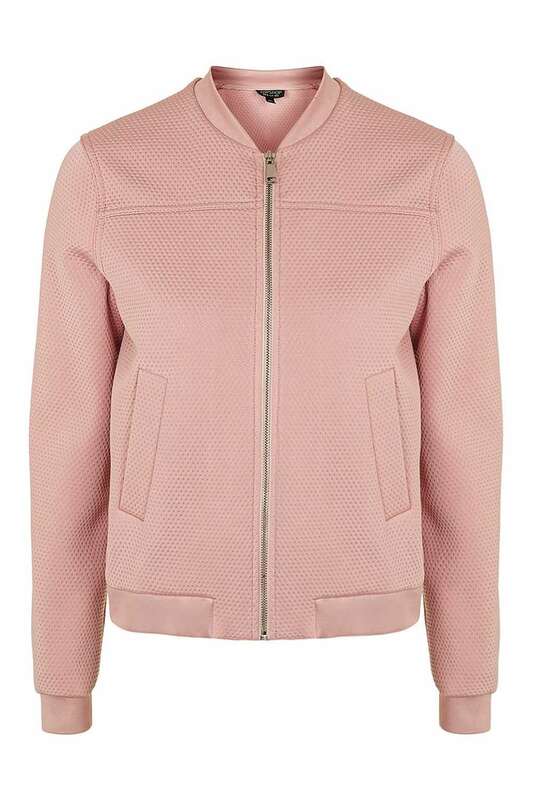 It's a bit more structured than the usual bomber hence it fits me so much better plus it's in blushed pink. I'm definitely feeling this. Next step: bare legs? We shall see. What are your favourite pieces to wear this summer?